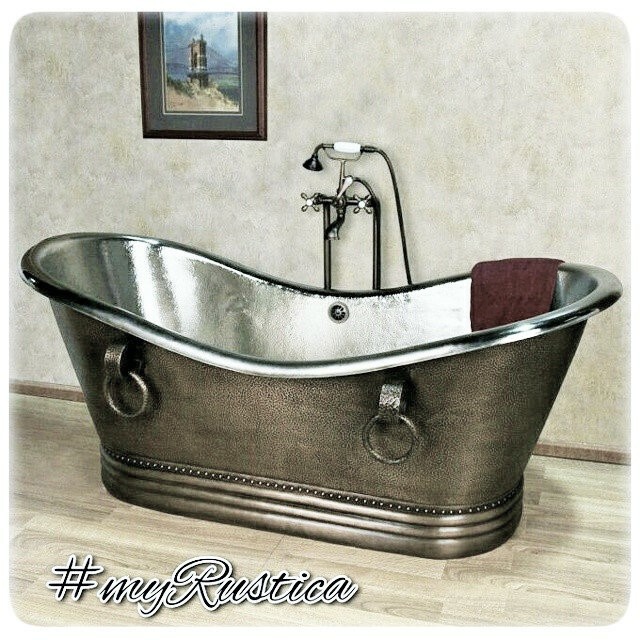 Click the button below to add the Copper Bathtub '9907' to your wish list. Copper bathtub model #9907 is our best selling bathroom fixture in the US and Canada. What the best bathtub makes great? Its unique surface and semitransparent patina. The tub comes in various sizes and color options. It can be supplied with a built-in drain back system and a custom drain location. By default it drains at the bathtub bottom center. We need about a month to deliver it from Santa Clara production facility to the US address. The best way to have the copper bathtub installed properly is to use a professional plumber. Caring for bathtub is not difficult. Its walls and the bottom needs occasional washing with soapy water and drying with a towel. Scrabbling with sharp metal objects is prohibited. Instead, use a plastic brush for more intense cleaning. Patina may loose its deep color in contact with acid and alcohol. Avoid using abrasive cleaners.